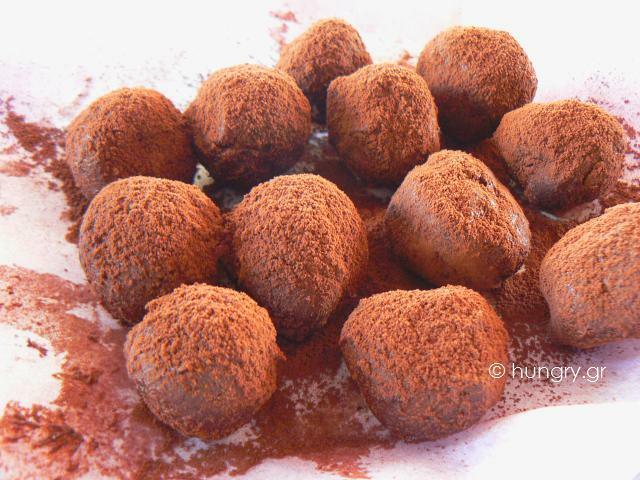 Small, sweet chocolate truffles filled with dried cranberry and sprinkled with cocoa powder. 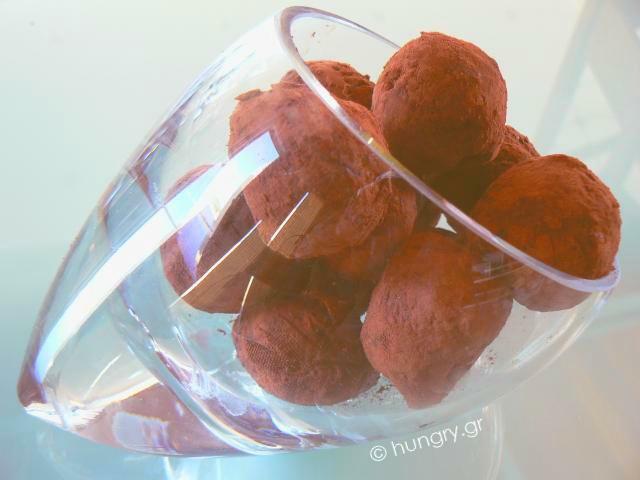 Silky, creamy and with a "full" flavor, studded with cranberry, that will leave chocolate lovers completely satisfied. 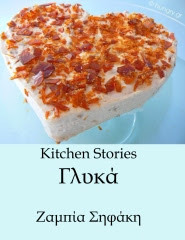 On festive days the sense of special days is given, in my opinion, by the chocolate desserts. 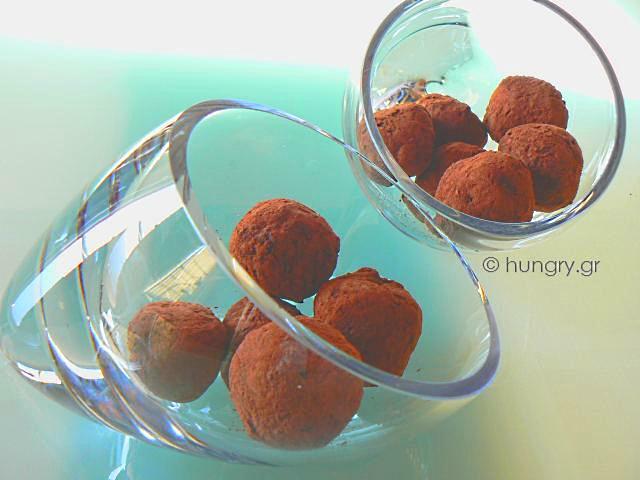 We make make them for our own benefit, or as a treat for our guests, the chocolate texture qualify them as a prestigious dessert. 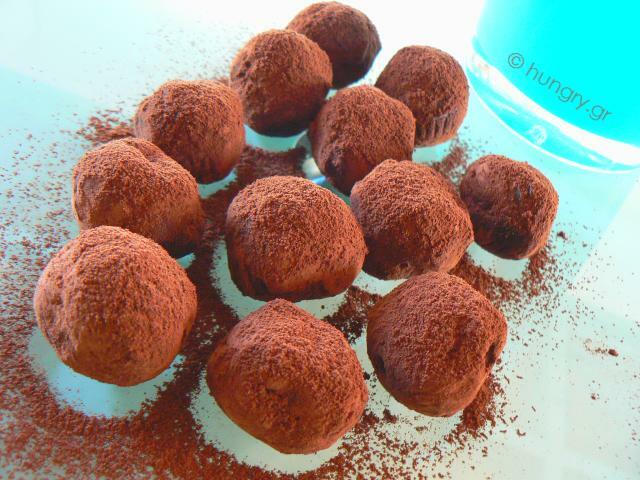 Wrap the chocolate truffles in a cellophane bag. 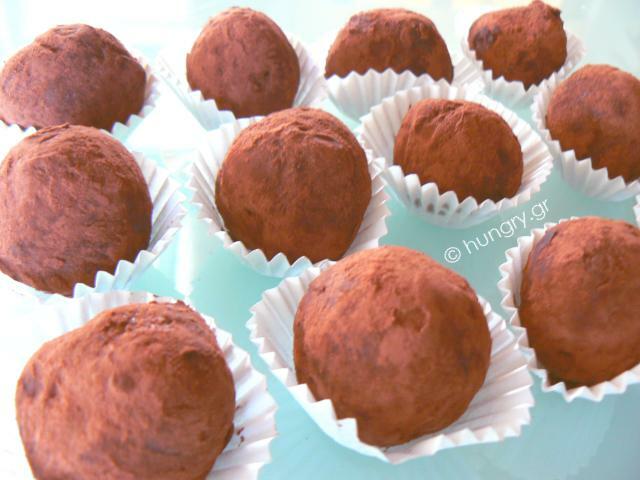 Place a ribbon or put them in colored boxes or jars and offer your own unique truffles, and be certain that that nothing like that can be purchased ready-made! It will be a unique offer of yours! 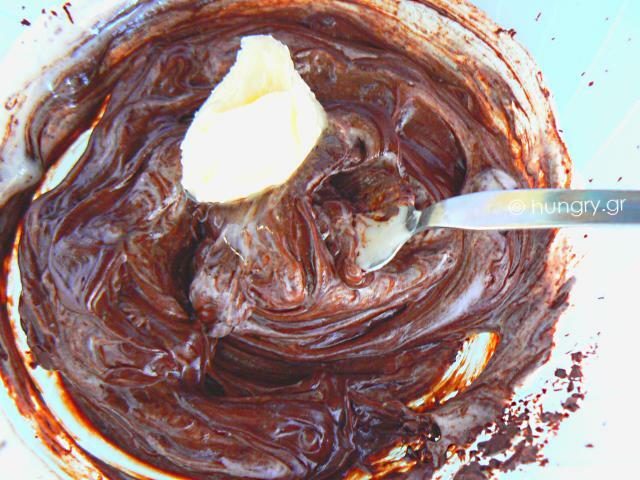 In bowl chop the chocolate in very small pieces to melt easily and quickly. In a saucepan, heat the cream and honey over medium heat until simmer. 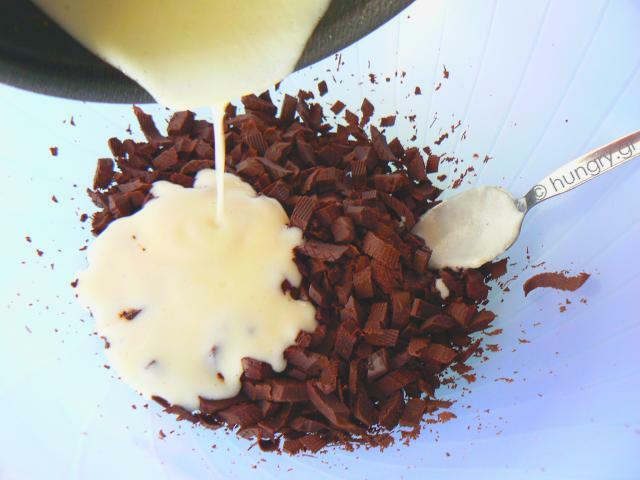 Pour the hot cream over the chocolate and let it stand for 1 minute, until it starts to melt. 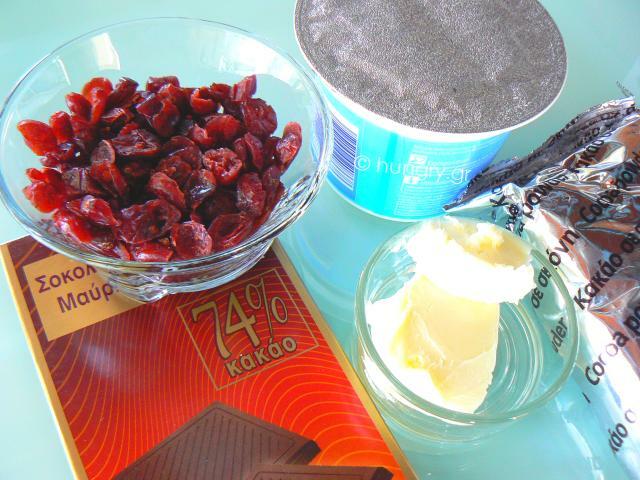 Stir gently to melt the chocolate and mix the ingredients. 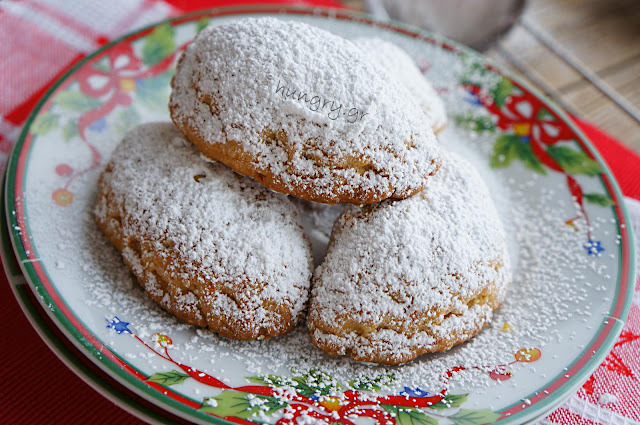 We try and bring the desired flavor by adding 1 teaspoon icing sugar, bearing in mind that in the final result, the cocoa powder gets a little bitter. Finally add dried cranberry to the mix. 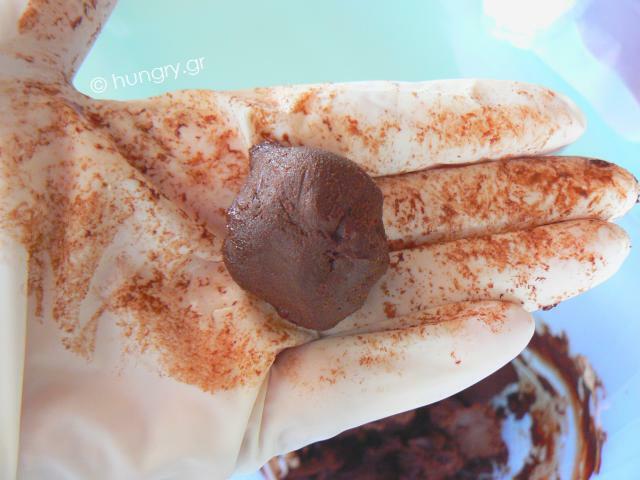 Cover the bowl and place in the refrigerator for 1½ - 2 hours for the mixture to get thick but easily molded. 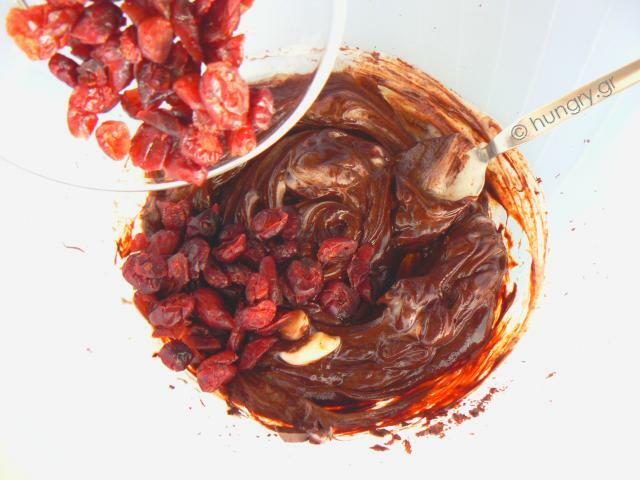 Remove the bowl from the refrigerator and use a spoon to take a piece of the mixture. 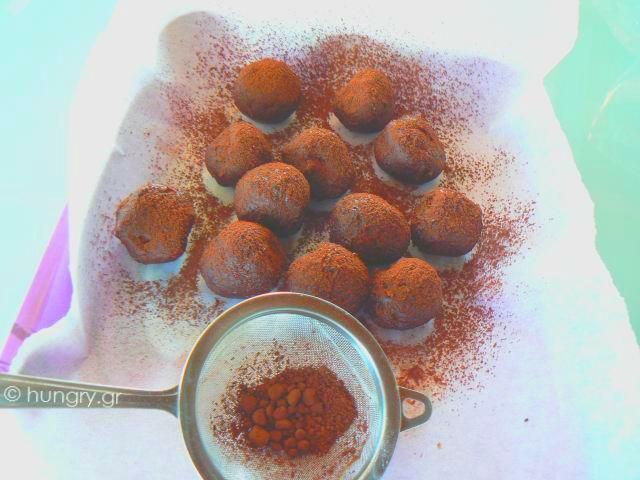 Mold it with our palms into small balls, and put it on a baking sheet. When we finish with the mixture, put back in the refrigerator for 15 minutes. 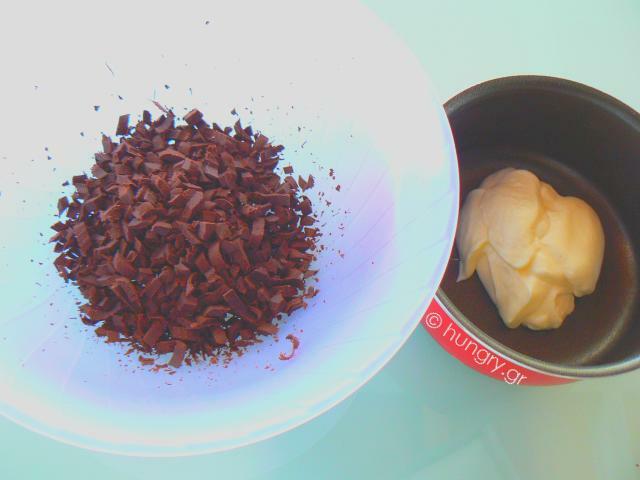 Remove and sprinkle over the cocoa powder with a sieve. Shake the excess cocoa using a colander. 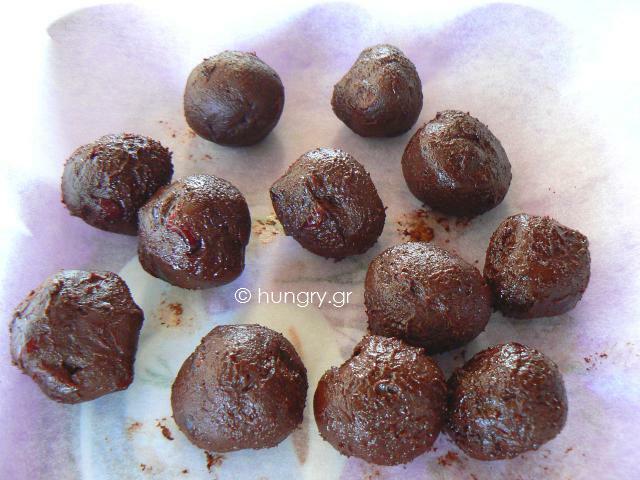 To serve, remove them from the refrigerator for at least 10 minutes to soften slightly and get a velvet texture.